This stunning, energy efficient, property has a surprise waiting for you at every turn. Large, sunny master suite as well as a guest suite in the main house. The two additional bedrooms, one of which is organized as an office/library. Two sun-rooms. Large, recently remodeled "chef's" kitchen with adjoining dining room, pantry and laundry. There are multiple private gardens, water features, and spaces to relax and enjoy the amazing views both inside and out. Located approx. 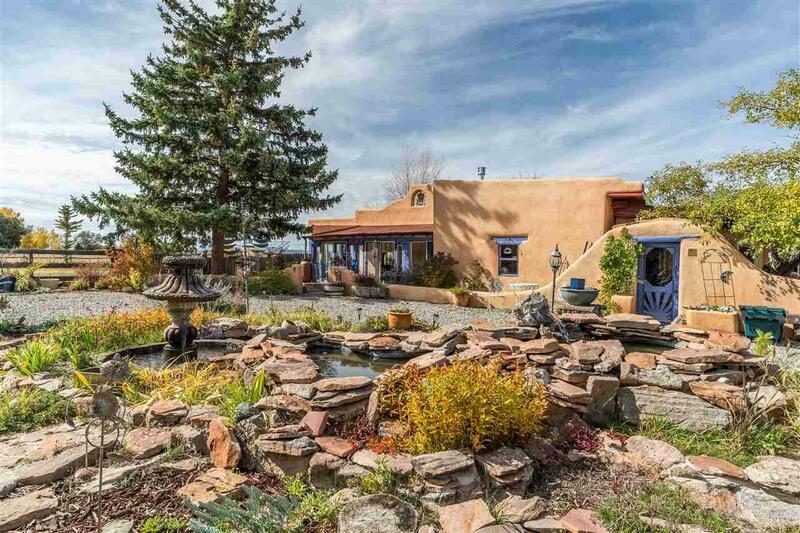 20 minutes from the Taos Ski slopes in one direction and 20 minutes into downtown Taos. The best of both worlds! 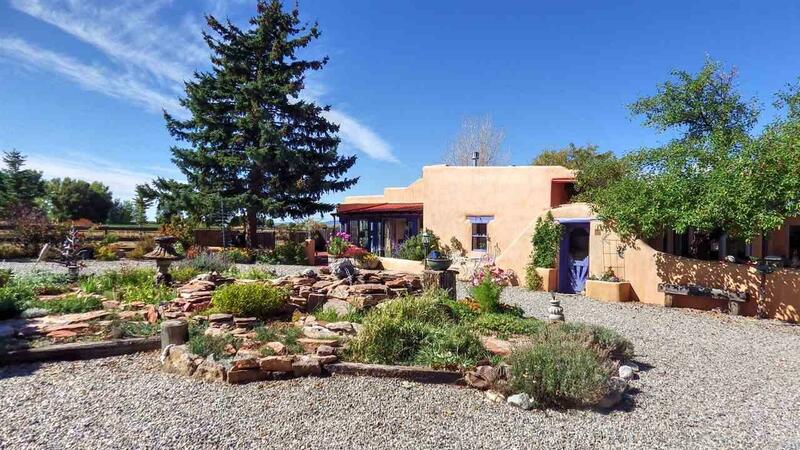 You will find everything just waiting for you to fulfill your dreams: Mature Orchard, Casita, Tree House, Garages, Greenhouse, Formal Gardens, even an old adobe Stable. And oh, those beautiful, 360 degree views! 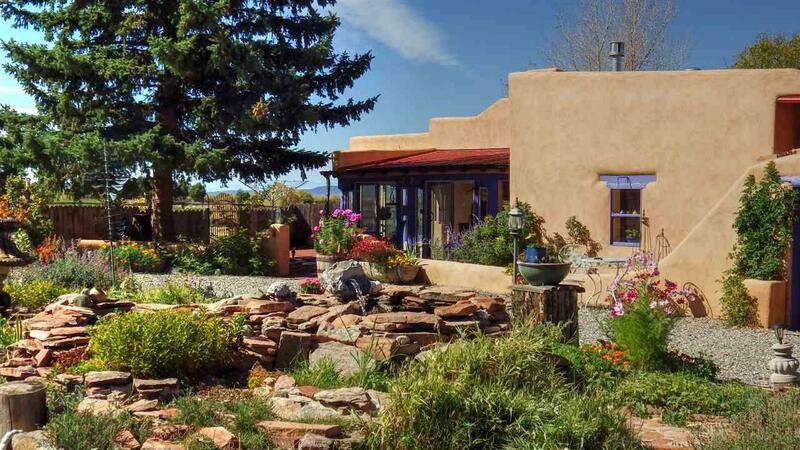 Like many homes in our area, the original adobe home, has been remodeled and added too in very smart ways. Another building site could be created. One visit won't be enough to soak it all in. 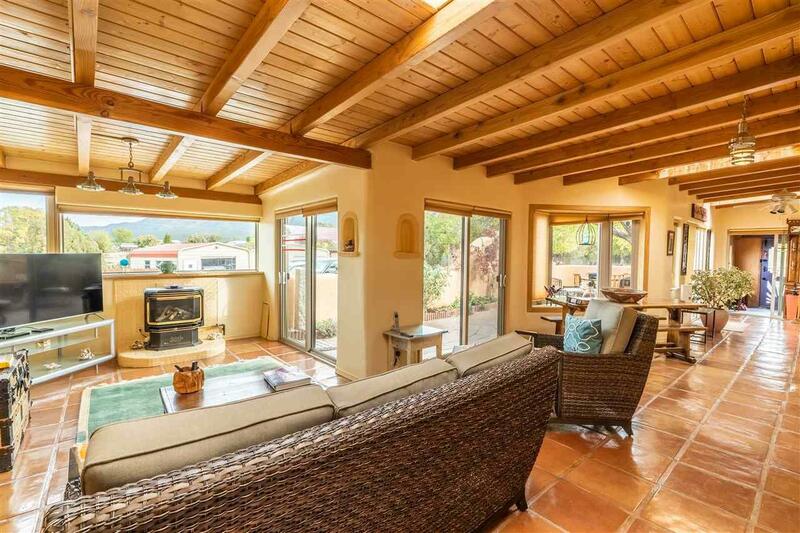 Don't wait to take a look, this enchanting home won't be on the market for long. © 2019 Taos Association of Realtors MLS, Inc. All rights reserved. Data last updated: 2019-04-25T10:28:58.283.